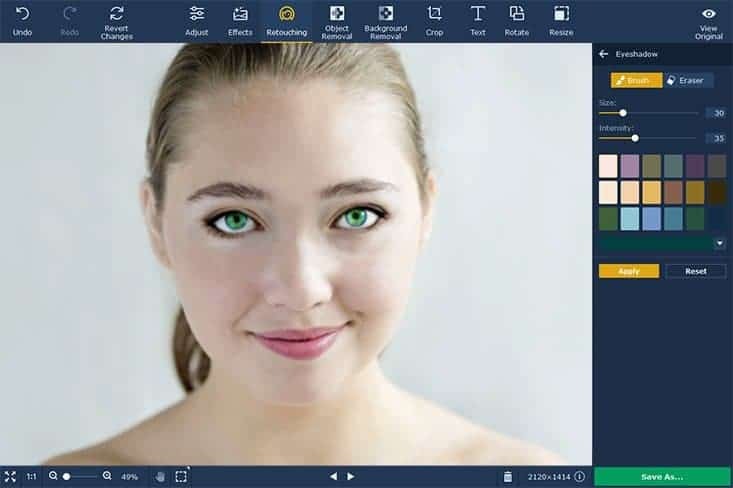 Movavi Photo Editor – Image Editing Made Simple! Image editing is something that seems not simple. When you start using programs you quickly figure out the fact that everything is much more complicated than what you initially thought. We are faced with a wealth of different options that are now available. It is really simple to find programs that would be utilized for picture editing but it is not necessarily a good idea to just focus on those programs that are the most popular at the moment. Difficult to use – Learning how to use the software takes a lot of time. Expensive – Getting a complete suite can cost hundreds of dollars. If you want extra plugins and features, the amount can easily reach even $1,000 for the professional photographers. What can you do if you do not have advanced photo editing knowledge? Whenever this happens, you should focus on using software that is created for the user. One of the really interesting programs on the market at the moment is Movavi Photo Editor. The price is low – Movavi Photo Editor costs under $30. This is only a fraction of how much you would have to pay for the popular advanced photo editing software suites like Adobe Photoshop. The software is really easy to use – You can so easily end up making the modifications that you need in just a few minutes from when you install the software. As a simple example, adding filters with the use of the software only takes a couple of minutes. In many different cases, this is something that would cost a lot more. Even if it is possible to make the changes in a short period of time, paying hundreds to make such cheap modifications is not something that should be considered. The great thing that should be highlighted is that easiness of use is something that is highly advantageous for every single photo editing enthusiast. It is difficult to learn a lot when referring to what is currently possible with a complicated editing program. That is no longer the case with Movavi Photo Editor. You can remove unwanted elements and make filter modifications really fast. It is really easy to learn everything that you want about the software and in just one day you can figure out everything that is possible. The truth is there are cases in which Movavi Photo Editor is not going to be suitable for the user. For instance, we have the professional photographers that have to make highly complex image modifications. It is one thing you will want to take into account but if you are a simple user, the truth is that Movavi’s software is actually more than what is needed. The program is often updated with new features and overall users are very happy with the quality offered. Previous articleOnline Gadget Shopping Dangers You Should Be Aware Of! Next articleYou Can Chat with Your Favorite Movie Characters Soon – Thanks to the AI-based Chatbots!